What type of pests do you treat? We offer treatments for rats, mice squirrels, moles, rabbits, wasps, ants, fleas, bed bugs, flies cockroaches and stored product insects. See our services page for more information. Do you offer a same day service? Yes, being local to the areas of Doncaster and Wakefield, we can offer a same day service with appointment times to suit you. We cover Doncaster and Wakefield including all surrounding villages. How would you carry out a treatment for mice? On arrival at your property we would carry out a full survey to determine the species of pest, the spread of infestation, the level of infestation and how the mice have gained access to the property. We would than devise a treatment strategy using baits, traps or both to safely and effectively treat the infestation. We would then revisit anther two times to ensure the effectiveness of the treatment. On the final visit, we would remove all baits and traps and offer a proofing service to prevent re-infestation. I have a mouse infestation but would prefer not to have a pest control van outside my house. Do you have unmarked vehicles? Yes, we recognise that discretion is an important part of our work so we use vans without logos. I've got fleas in my house due to having a dog. How would you treat my house? The first thing to do is get the dog treated for fleas using a veterinary product. Then wash the dogs bedding on a wash above 60 Centigrade. Finally give the carpets/floors a thorough hoovering paying particular attention to around the skirting boards and between floorboards. We would then call and carry out a residual spray of the carpets and soft furnishings that would eradicate the remaining fleas. If we could see where the wasps are accessing the loft from the outside, we have a specialist lance that could reach it and treat from the ground. If it is not accessible using the lance we could use ladders or we could access via the loft. 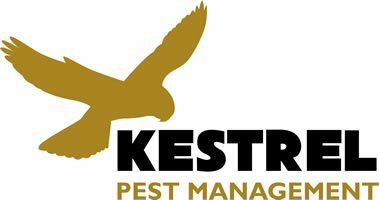 We are trained through the BPCA (British Pest Control Association) and have the RSPH (Royal Society For Public Health) Level 2 certificate in pest control. Every year we get rats in our loft, we get them treated but they keep coming back. Is there anything you could suggest? The first thing to do is look for any proofing issues that might allow rats into your house. Such as gaps around pipes, holes that have not been filled, broken airbricks, climbing plants etc. If you are attached to other houses, the rats could be travelling in from there. Also, the regularity of infestation could suggest a drainage fault, where rats can gain access to your house via a breach from within the drainage system. If we were to call, we would carry out a full property survey to determine the cause. I woke up this morning with a few bites on my shoulder and suspect I may have bed bugs. What should I look for? If it is bed bugs the first place to look is the bed. Take off the bedding and thoroughly inspect the mattress, bedhead and bed frame. You are looking for a lentil sized insect that is brown in colour. If it is an established infestation they should be relatively easy to find as there will be various stages of the life cycle evident (eggs, nymphs and adults). Other signs are smears or spots of blood. If we were to attend, we would carry out a full survey of the property and devise a treatment strategy to eradicate the infestation. Still have a question that's not answered above?